Get ready to Rock & Roll in July! The month of July brings sunshine, pool parties, and Rock & Roll to New Brunswick. We have four rockin’ acts set between July 10-23 including four Grammy® Award-winners! On Sunday, July 10 at 7pm come out to the State Theatre for Grammy® Award-winning singer/songwriter, Rick Springfield. He has had 17 top 40 singles, including the smash hits “Jessie’s Girl,” “Don’t Talk To Strangers,” “Affair of the Heart,” “Love Somebody,” “Celebrate Youth,” and “Rock of Life.” Springfield is also a TV actor starring in General Hospital and Californication. That weekend on Saturday, July 16 at 8pm, Shawn Colvin & Loudon Wainwright III will take the stage. In her 19-year career, singer/songwriter Shawn Colvin, best known for her Top 10 hit “Sunny Came Home,” has won three Grammy® Awards and released eight albums. Grammy® Award-winning folk singer Loudon Wainwright III has recorded over 20 albums. 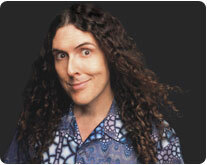 His songs include “Dead Skunk,” “Needless to Say,” and “My Girl” with John Hiatt. Wainwright has also appeared on the TVshow M*A*S*H as the singing surgeon, Capt. Calvin Spaulding. For tickets and more information please visit http://www.StateTheatreNJ.org. ONE SINGULAR SENSATION — Come see A Chorus Line! Desperate for a job, wondering if you’ll make the cut, hoping for a chance, dreaming for a future… We’ve all been there. It’s the reason why A Chorus Line is a timeless classic. Winner of 9 Tony ® Awards, the Pulitzer Prize, and the fourth longest running Broadway show, A Chorus Line tells the stories of 17 dancers hoping to be cast in the newest Broadway production. They open up about their dreams, their life, and the decisions they made to get where they are. A Chorus Line is not your typical musical. It is more than just song and dance or smoke and mirrors; it’s based on the true stories of real dancers. The musical was formed from several taped workshop sessions with Broadway dancers, known as “gypsies,” including eight who eventually appeared in the original cast. The two dancers running the sessions hoped that they would form a professional dance company to make workshops for Broadway dancers. Instead, their workshops quickly developed into one of the most well known musicals of all time. With book by James Kirkwood, Jr. and Nicholas Dante, lyrics by Edward Kleban, and music by Marvin Hamlisch, A Chorus Line has been playing around the world for the last three decades. A Chorus Line, will be presented ONE NIGHT ONLY, on Thursday, March 10th at the State Theatre. Visit StateTheatreNJ.org for more information. Originally set to perform back in March, The Chieftains are rescheduled to perform on February 18th at the State Theatre! Not even a power outage can hold these traditional Irish musicians from the stage! Together for almost 50 years, The Chieftains are a six-time Grammy®-winning band. They have performed around the world including places such as London, in the Capitol Building in Washington D.C., on China’s Great Wall, and for the Pope in front of an audience of over ONE MILLION people. Formed by Paddy Maloney in 1962, The Chieftains sound has become instantly recognizable. Although their early following was purely a folk audience, the range and variation of their music has captured a much broader public, making them today the best known Irish band in the world. 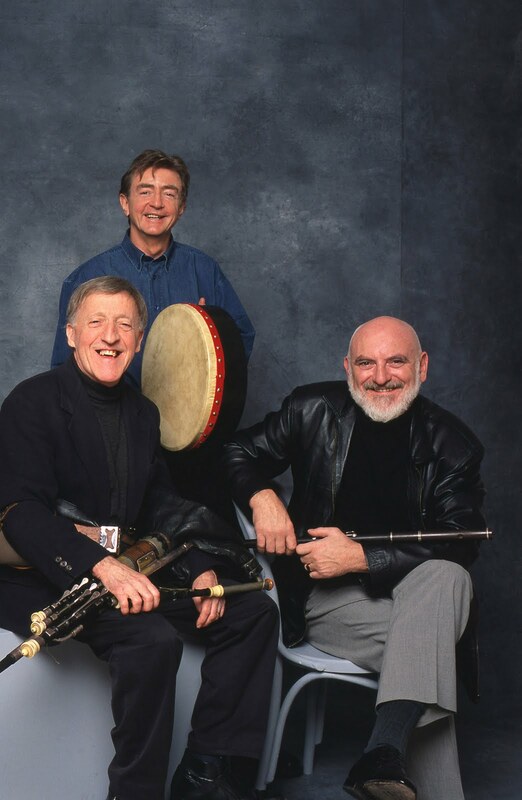 Beginning as a traditionally Irish band, The Chieftains have transcended music-genre barriers and their distinctive sound can be heard with some of the biggest names in rock and pop including in Paul Mc Cartney and Stevie Wonder’s “Rainclouds” and in Art Garfunkel’s “Watermark”. The Chieftains have been able to share their love of Irish music with millions of music lovers across the world. Now it’s your turn to come share in the love of music and see Ireland’s Official Musical Ambassadors, The Chieftains, at State Theatre in New Brunswick. For tickets and more info go to http://www.statetheatrenj.org/the_chieftains. The Reviews are in – 5th graders Love STREB! Jessica Kennedy, a 5th grade teacher at New Brunswick’s Roosevelt Elementary School gives us her review of the dance group STREB’s recent school day performance on Feb. 4. Also, the kids themselves share a few words with us. 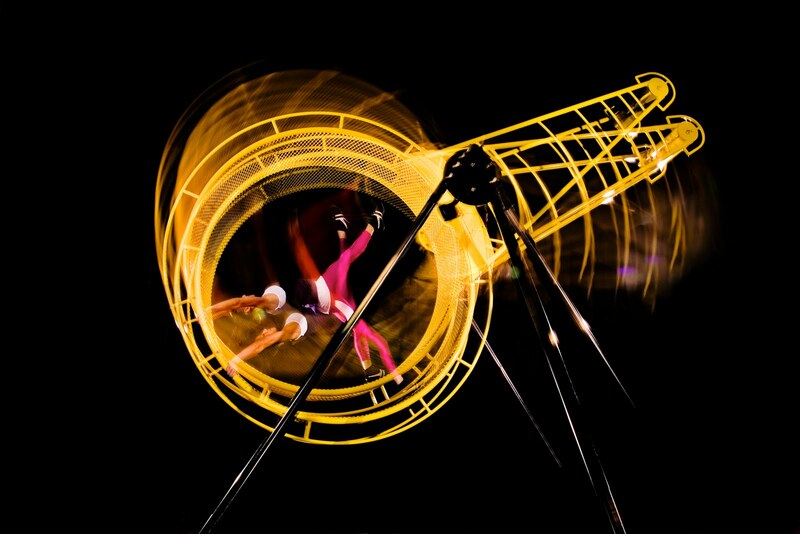 Inertia, motion, force, energy, load, effort, work…the kids are making so many connections to our just-completed science unit on levers & pulleys: today they are seeing trained artist-athletes interact with machines. And it is beautiful. I’ve never seen the excitement level so high: in the first 5 minutes, when i heard a kid behind me shout, “I LOVE THESE PEOPLE.” The loud music, the lights….as fun and unpredictable—and scary—as any rock concert i’ve ever been to. I ADORE, and so do the kids, the subversive boom of directions hurled among the performers…a vital communication missing from all the dance I’ve ever seen…Could there be a more perfect break in the tedium of almost two months of cancelled outdoor recreation at school, where the kids have to sit quietly in the auditorium during recess, because the teachers need to park their cars on the “blacktop” instead of the icy streets. Something like this gives me a much-needed referent to talk about art, commitment, passion…possibilities…wish dance were emphasized as much as sports in our schools. Glad I was with my 10-year-olds who could explain to me exactly what was going on…they missed nothing! Evocative of Houdini, the first woman to go over Niagara Falls…How brilliant when physical and intellectual bravery are experienced hand in hand.